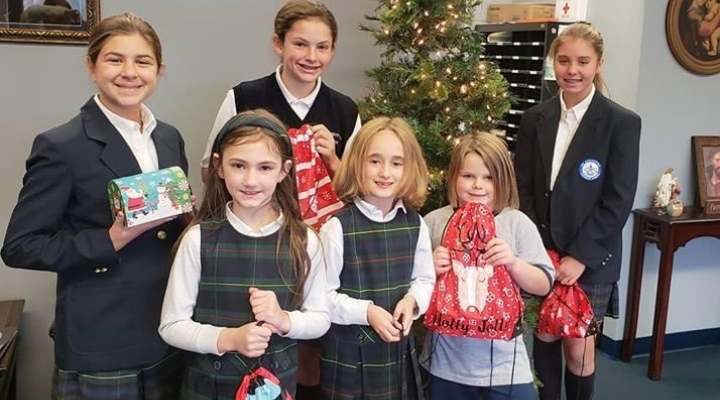 The St. Augustine Catholic School Annual Fund is one of our main fundraisers that helps to support and supplement our operational costs to maintain competitive tuition rates and multi-child discounts. This program is managed by our Advancement Director, Mrs. Susie Lynch, who collaborates with parents who sit on our Advancement Council, who support financial strategic efforts at SAS. Your gift to the Annual Fund helps St. Augustine continue its history and mission of providing a well-rounded, quality education in a Christ-centered atmosphere to families. Donations to the Annual Fund are fully tax-deductible, and can be paid by check or credit card. Pledges can be paid in monthly, quarterly, semi-annually or annual installments. Thank you for all you do for St. Augustine Catholic School, serving our community since 1857.